Flora, Indiana | November 2, 2010 | Mike E. Miller, M. Ed., teacher at Carroll High School, has been recognized by Elite American Educators for his dedication to United States history and economics education. Mr. Miller teaches United States history, advanced placement history and economics to high school students. After school he also coaches the cross-country and track and field teams. A graduate of Ball State University, Mr. Miller earned a Master of Arts in education in 1985. With his strong passion for teaching, Mr. Miller has led a successful 31 year teaching career. He has served on state committees for education and athletics, and is the former president of the negotiation team. 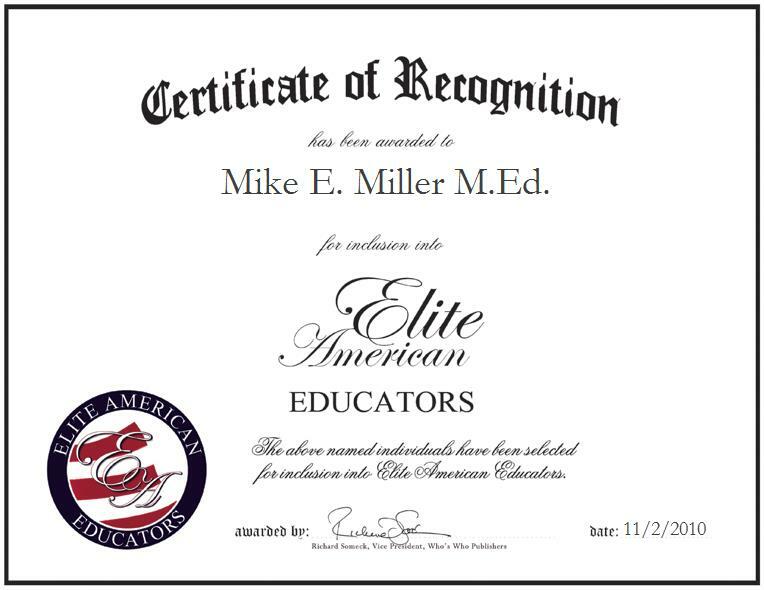 Contact Mike E. Miller M.Ed.